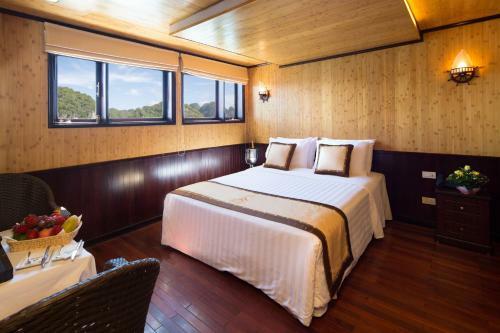 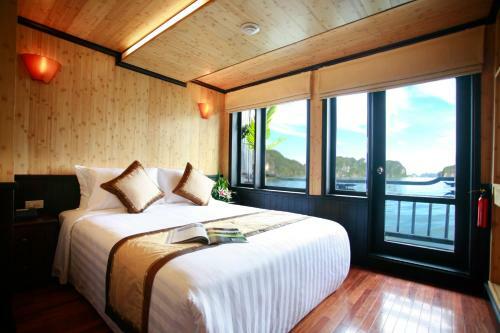 Cabins are air-conditioned and offer a balcony with sea views. 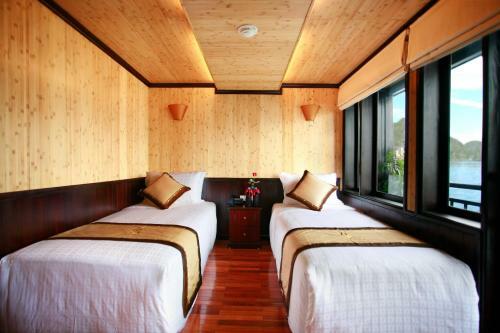 Bathrobes, slippers and free toiletries are provided. 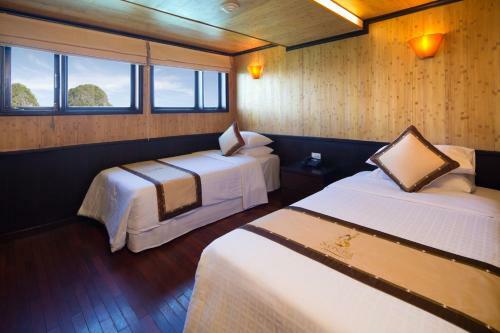 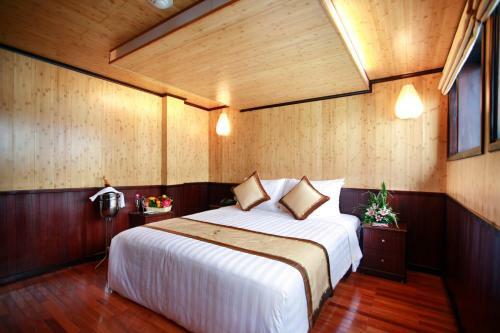 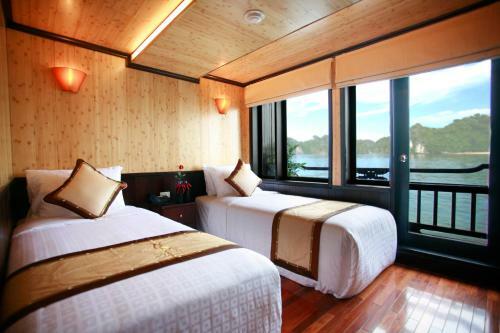 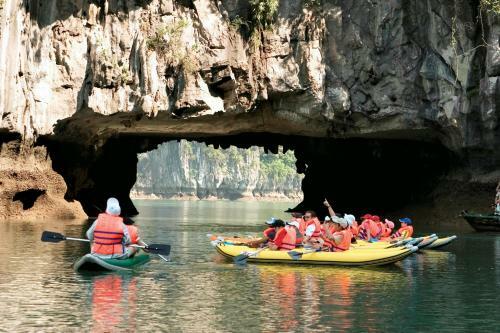 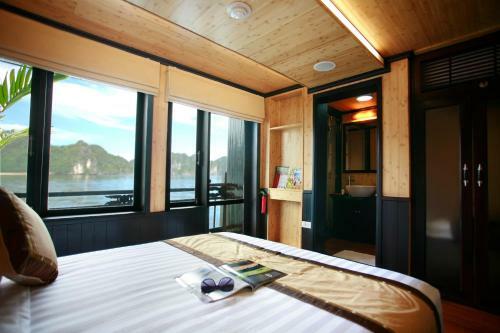 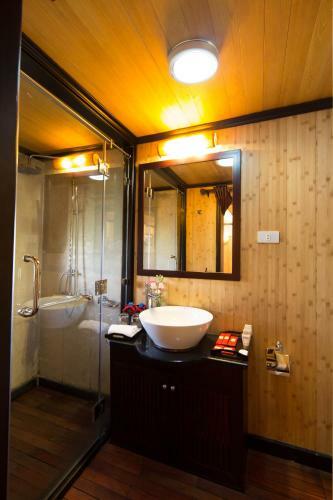 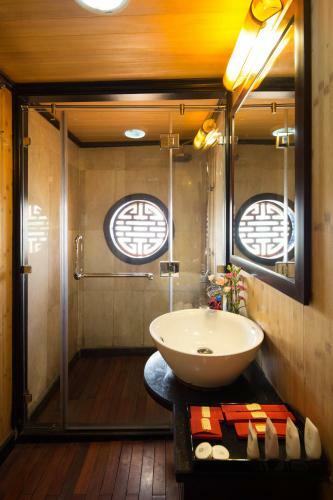 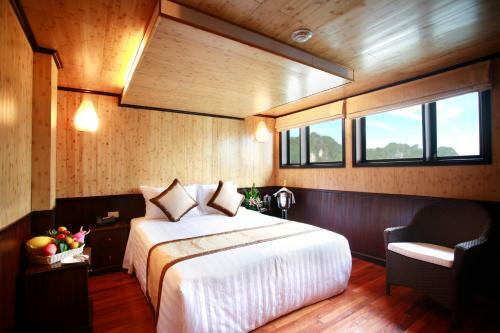 Syrena Cruises is a 3-hour drive, or 165 km from Noi Bai Airport. 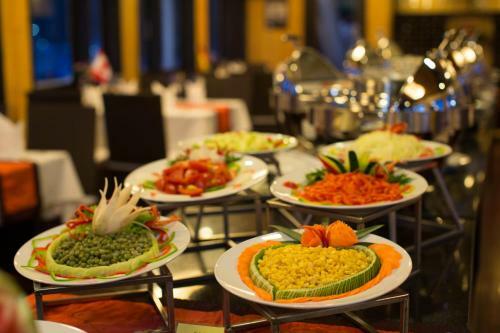 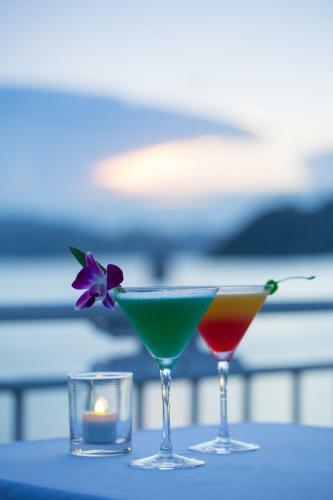 Lotus Restaurant serves a selection of Vietnamese and international dishes while Sunset Bar offers a variety of snacks and drinks. 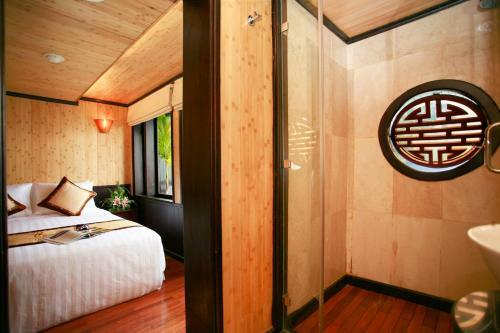 This air-conditioned suite has a DVD player and a spa bath. 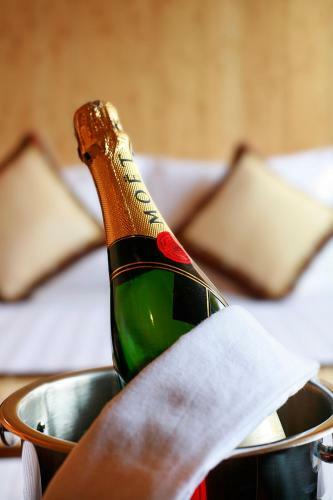 Includes a complimentary basket of fruits and a bottle of wine. 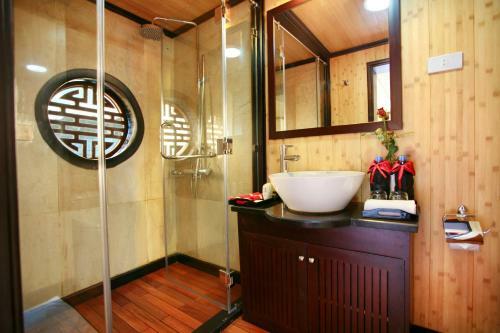 This suite has a hot tub, spa bath and DVD player.